Plovdiv is the second largest city in Bulgaria, historically developed on seven hills and often referred to as A City on the Seven Hills. Remains of ancient, mediaeval, revival and modern culture coexist and symbolize the eternal beauty of this city. They complement and enrich each other turning Plovdiv into a genuine world city and a synonym for Bulgarian history. The first settlements in these lands date 8 millennia back. Plovdiv is considered the oldest European city which was continuously inhabited (sixth in the world). Older than Rome and Athens, contemporary to Troy and having survived Mycenae, Plovdiv is a city upon layers of cities. Kendros, Eumolpius, Philippopolis, Pulpudeva, Thrimonzium, Pulden, Populdin, Filibe - those were ancient names of Plovdiv throughout its history. The name Plovdiv first appeared in 15th century documents and has remained till today. 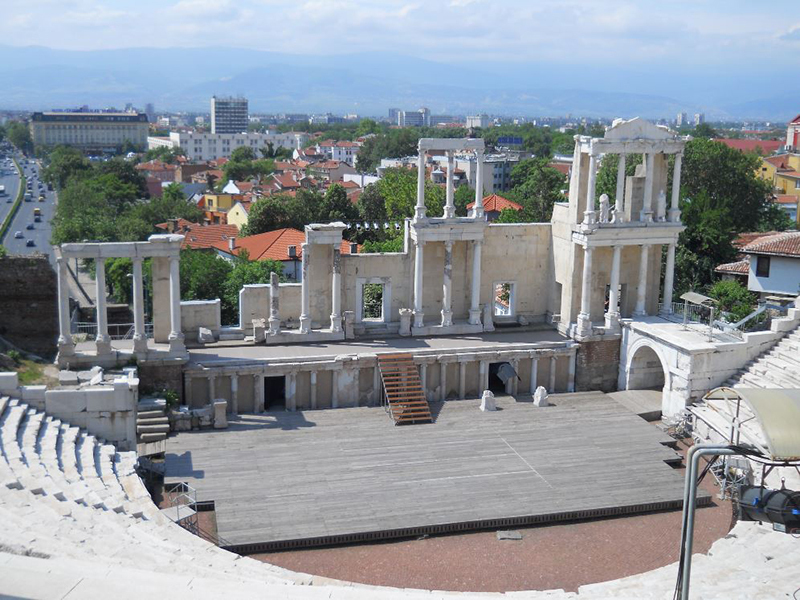 Plovdiv is all in one - a Thracian and classical Greek polis, the pride of Philip of Macedon, the capital of Thrace under the Roman Empire, a centre of Byzantinism, a stronghold of the Bulgarians - always a magnificent, wealthy and important city. The Thracians founded the ancient settlement of Eumolpius about 3,000 years ago. In 342 B.C. the town was conquered by Philip II of Macedon, and was renamed Philippopolis. The Thracian fortress and towers were rebuilt. Soon it became a Thracian town again, called Pulpudeva. One of the best examples of the Thracian culture at that time is the Panagurishte Golden Treasure (4th-3rd c. BC). During the 1st c., the town was conquered by the Romans, and was turned into a key economic, cultural and political center of the Thrace province. The Romans called the town Thrimontium (lying on three hills) because the Roman town was situated on three hills: Taxim, Nebet, and Jambaz Tepe. Many well-preserved archeological sites from the Roman period of the city can be seen here: the Theatre, the Stadium, the Forum, the Odeon. Plovdiv is the city with the greatest number of unearthed Roman mosaics found until now in Bulgaria. At the end of 6th c. the Slavs populated the area and named the town Puldin. In 815 Khan Krum included it within the boundaries of Bulgaria and named the city Populdin. The medieval history of the city was marked by dramatic and conflicting turns of events. 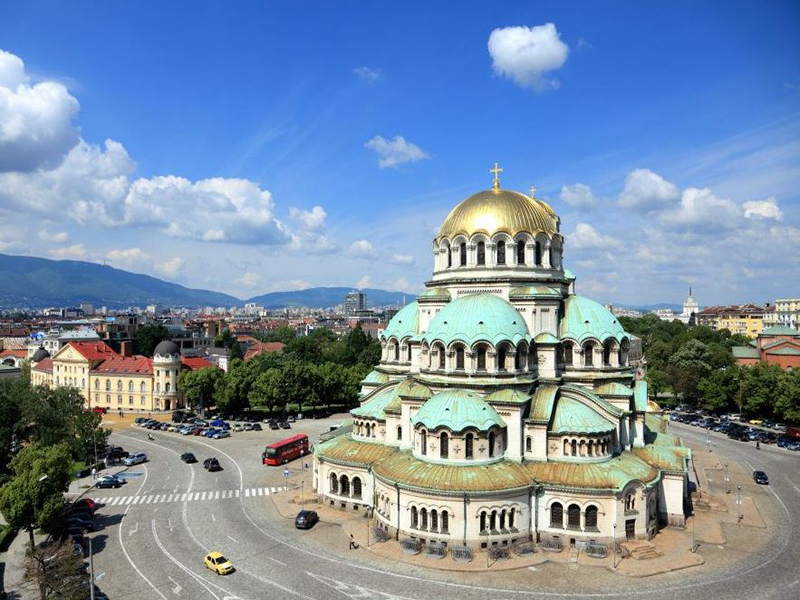 During this five century long period, the town was either part of Byzantium, or of the Bulgarian State. The town fell under the Ottoman oppression in 1365. 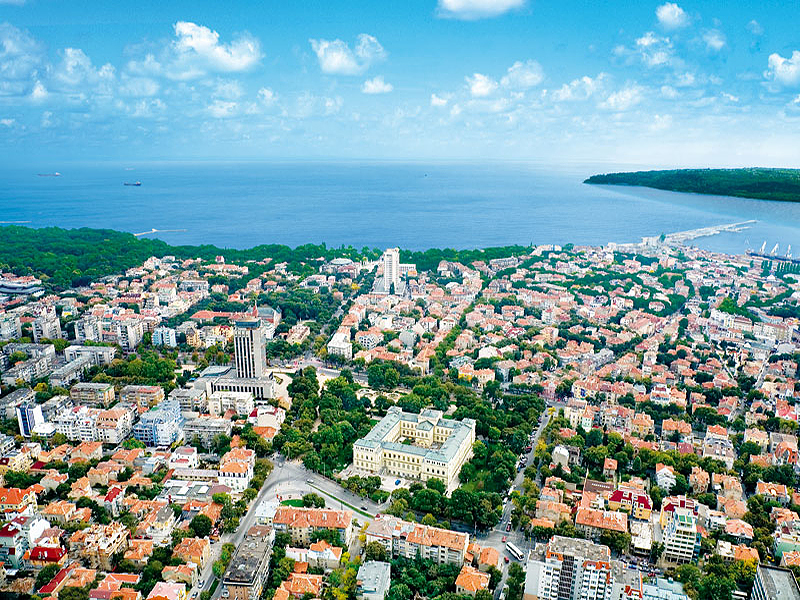 Renamed Filibe it became an important administrative and military center. At that time the town possessed a mysterious charm and striking poverty typical for the Orient. The functioning Dzhumaya Mosque attracts visitors to the center of modern Plovdiv with its fine minaret and its sundial. The 19th c. brought Plovdiv closer to Renaissance. Some of Bulgaria’s finest and most lavish townhouses were built here during the Bulgarian National Revival period. 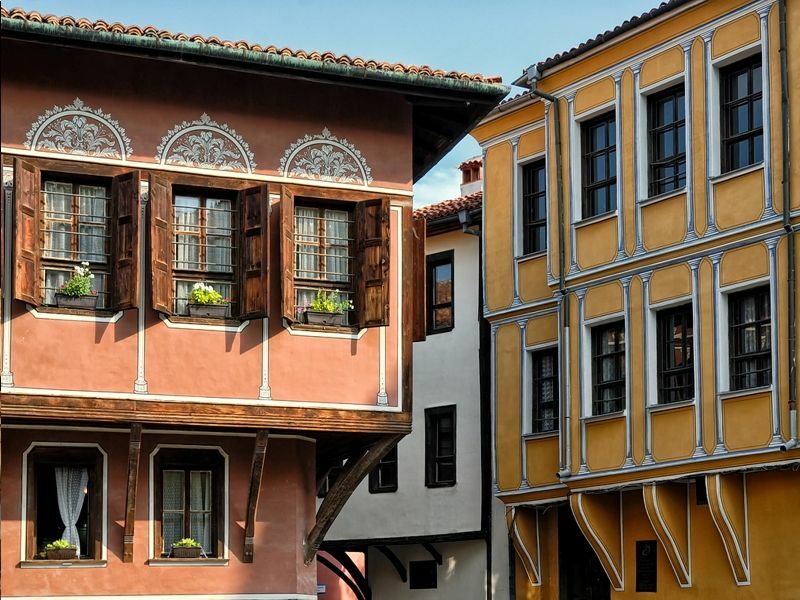 With multi-colored facades, yoke-shaped bay-windows, abundant decoration and furnishings, Plovdiv's two- and three-storey houses are as eye-catching as ever, fairly resembling little palaces. One of the most lavish examples of that period is the Balabanov House with exclusively rich elaboration of the architectural details. Still, the heart of Thrace is not just history. The present day outlook of the city is not less versatile, diverse and attractive. You can stroll along the noisy main street, overlooking the Roman Stadium built in 2nd c. on the model of the Delphic Stadium. In antiquity the Roman Stadium seated 30,000 people, and organized gladiator battles and sport events. Today one can see the northern arc of the stadium with 13 rows of seats. 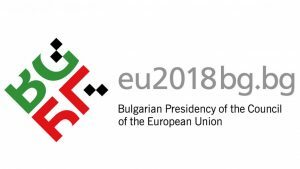 Not surprisingly, Plovdiv hosted the European Month of Culture in 1999 and recently won the competition for European capital of culture for 2019. The modern face of the city is complemented by its green spaces, represented mainly by the renowned city hills at the end of 19th c. The city parks were designed by the renowned Swiss botanist and gardener Lucien Chevalas. It was him who created the Central City Park in 1892 on the occasion of the first commercial exposition. Rare botanical species and age-old trees still exist and tell legends of old times, of greatness and splendor, of wisdom and living experience gathered across the centuries. The Ancient Theatre is one of the main public works of the Old Philipopolis. Except for being a cultural venue, it also played an important role for the social and political life of the town and the Roman province of Thrace. The Theatre was built in the time of the Emperor Trajan in 2nd c. and is one of the best preserved antique theatres in the world. The inscriptions and exquisite statues discovered are included in the building’s architecture. 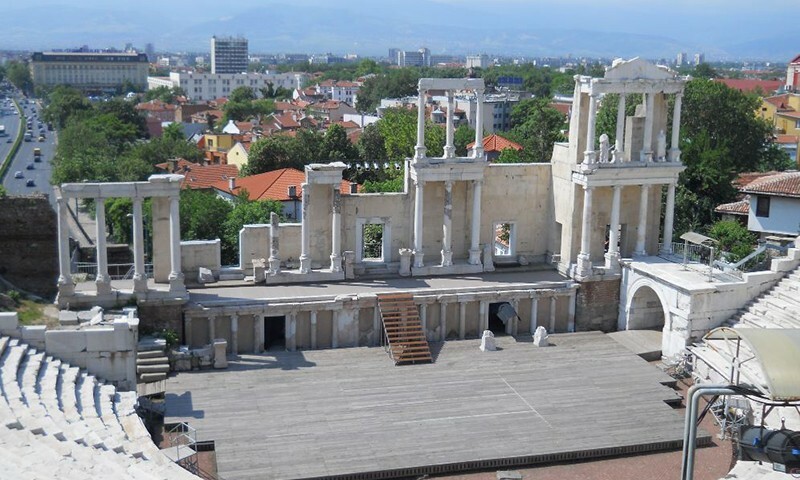 The Theatre is adapted to Plovdiv’s present-day cultural life, hosting a wide range of various performances for about 5,000 viewers. One of the most picturesque places in the old town of Plovdiv is located near Hisar Kapiya (Hisar Stone Gate). As part of this ensemble, the impressive façade of the Kuyumdzhiouglu house, built in 1847 by a wealthy merchant from Plovdiv, creates a unique atmosphere. It is a typical representative of Plovdiv Renaissance symmetrical houses, defined by experts as the peak of the Baroque architecture in Bulgaria. The Plovdiv Ethnographic museum has been located in the house since 1938. 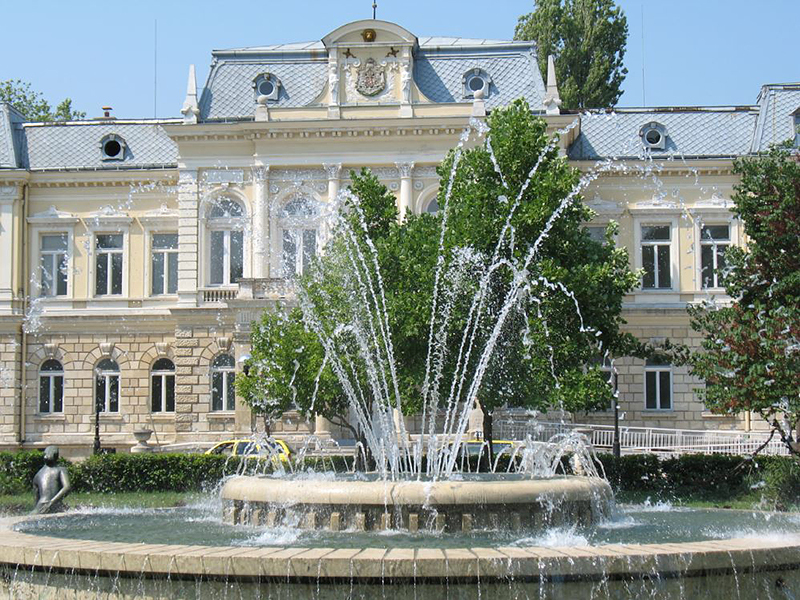 It is the second largest specialized museum of this type in Bulgaria. The Bachkovo Monastery 'Assumption of the Holy Virgin', located 20 km away from Plovdiv, is one of the largest and oldest Eastern Orthodox monasteries in Europe. It was founded in 1083 by the Georgian brothers Gregory and Abasius Bakuriani. Flourishing during the Second Bulgarian Empire (1185-1396), the monastery was ransacked by the Turks in 15th c. and re-built in 17th c. Bachkovo Monastery is known and appreciated for the unique combination of Byzantine, Georgian and Bulgarian culture, united by the common faith, and is now Bulgaria's second largest monastery after Rila Monastery.